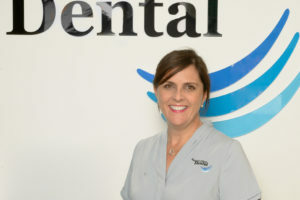 In 1986 Trudy began working at Nundah Village Dental as a junior dental assistant and feels honoured that she has been a part of the growth and sense of community that is at the heart of our practice. Well known to many families in the area, Trudy continues to be a familiar and welcoming face around the practice. In 2009 she completed her Diploma of Practice Management and behind the scenes manages our business and our dental team. With a focus on fairness, service, quality and continuing education, she enjoys working with our dentists, receptionists and clinical assistants to achieve these outcomes. Trudy’s aim is to maintain an enjoyable working environment for our great team, whilst consistently exceeding the standards of care we wish for our patients. These values enable us to provide great service, ensuring a visit to Nundah Village Dental will be a positive experience. In May 2016 Trudy celebrated 30 years of service at Nundah Village Dental. NVD have been so fortunate to have Trudy reach this milestone she has seen many changes within dentisty, the team and Nundah over these years and is excited about the direction our practice and community are heading.